My son calls me a nerd. 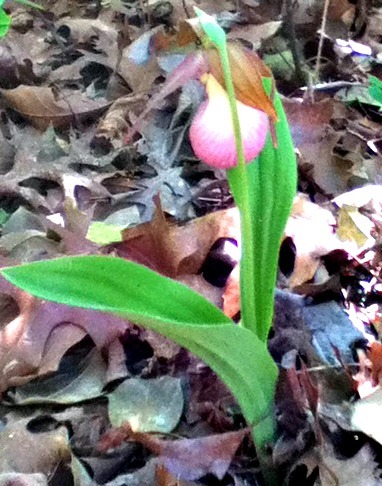 I guess I am - because I was excited when I saw this Lady Slipper growing right in my back yard. these are endangered in a lot of states. And I know it is actually illegal to pick them. I love it! I love those flowers! Mostly I think because their endangered. I've only seen one here in NH when I was little and remembered my Mom warning me it was illegal to pick them. I wondered how anyone would ever know? I used to see them in NH all the time in the woods. They remind my of my Grandmother who loved flowers. I often wondered who would know too, but never wanted to pick one anyway.